Contemporary jewelry is suitable for women of all ages. Hinged rings come in hexagonal shapes and other designs. 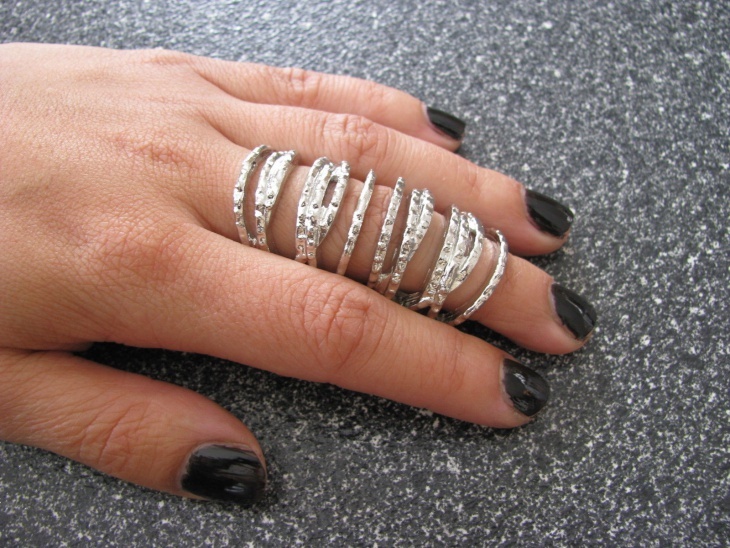 You can wear this set of hinged rings and have a lot of options wearing them as they are not connected to each other. Platinum rings look best in these designs. You can wear them on index fingers as well as thumbs. 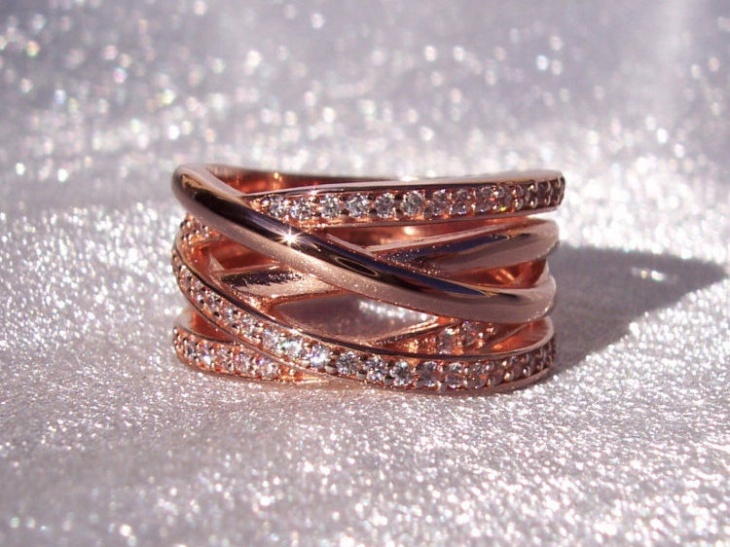 However, do not stack every finger with these types of rings. Use them sparingly on either of the hand. A foldable geometrical hinged ring design that start from the bottom of the finger and extends to the top phalange of the finger. They are two set of rings connected with vertical, adjustable strands. They are available in gold and sterling silver. They are suitable for bold women. 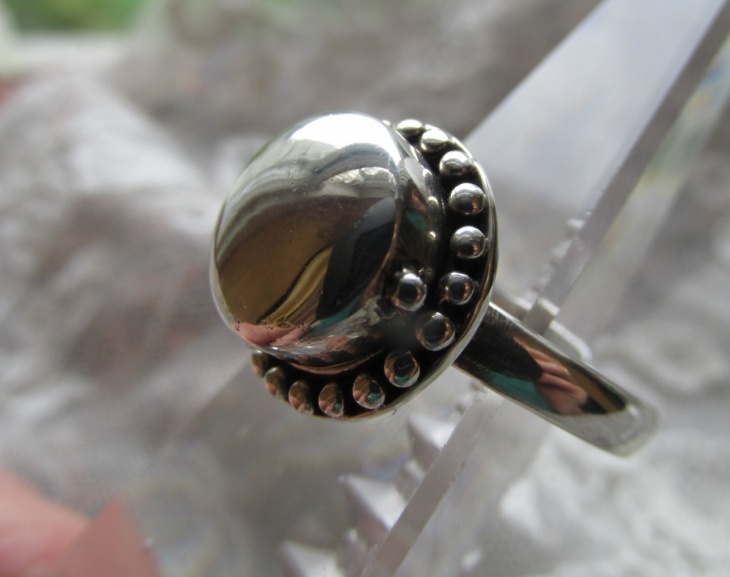 A ring in sterling silver has stone studded in the middle of this finger ring. It also has metallic carvings and goes well with ethnic clothes only. Do not pair this design with cotton or casual clothing. 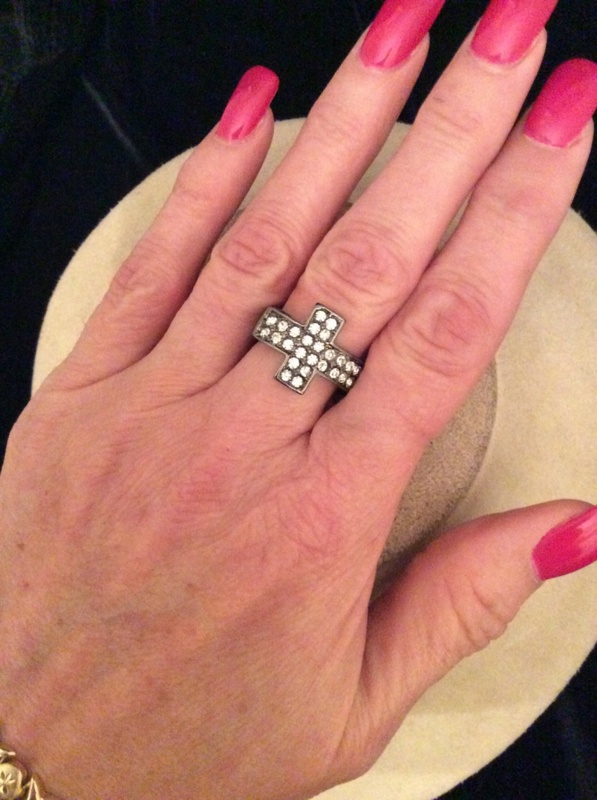 This is a knuckle statement ring. It has elaborate design in antique metal. 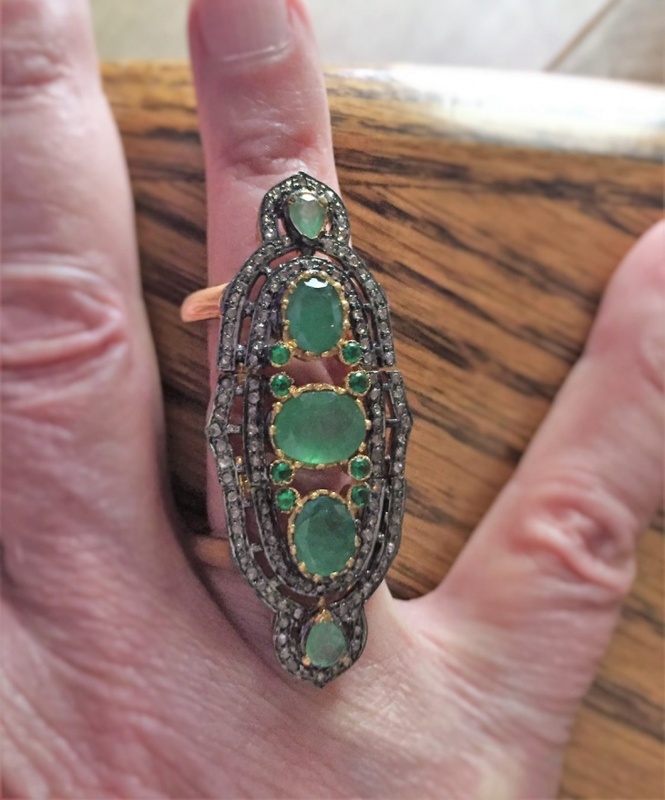 Emeralds and diamonds are set into this finger ring. This is a kitschy design that can be worn by older women on different types of clothing. Younger women and teenagers can avoid wearing such designs. 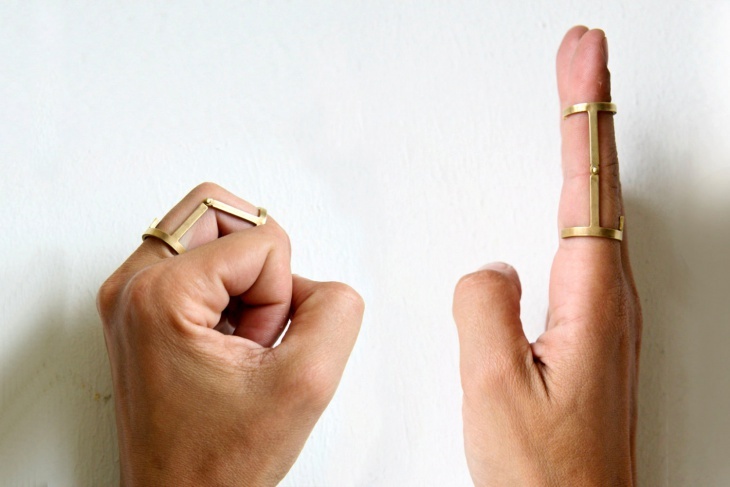 You can get a set of beautifully designed rings for the middle finger. They are bold and give a dynamic look to the fingers. They are made in silver. These designs are suitable for women of all age groups and skin tones. These are interesting variety of adjustable knuckle designs for fingers. 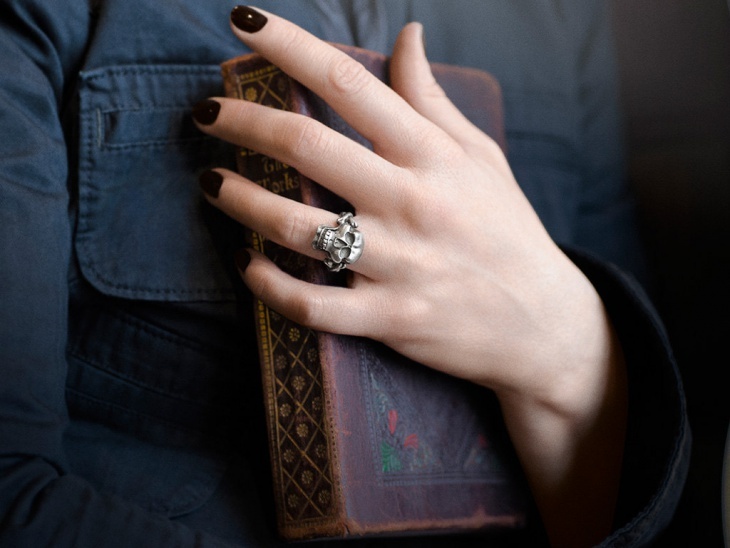 They cover the complete finger of the hand with set of rings arranged in a foldable fashion. You can apply nail polish of any color as it goes well with the set of these rings. There is a cross design on this ring. White rhinestones are studded inside the cross. This design looks good on women of all age groups. You can wear them with any dress, formal or informal. You can choose to wear garments in solid colors with these clothes. 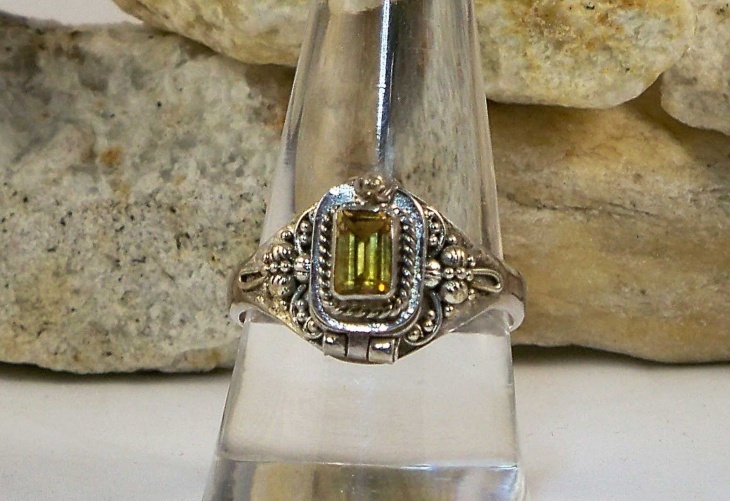 Citrine stone is studded inside this sterling silver ring. It looks beautiful and looks good on most of the garments. 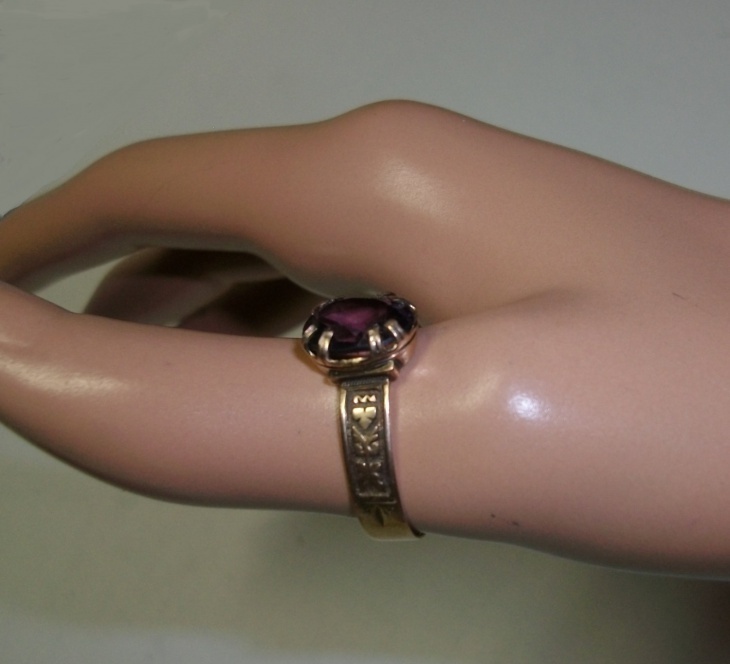 When you wear this ring, do not wear any other accessories on the hands. You could add some hair accessories but nothing on the arms. This is a ring that has cross bone skull motif. It is handmade and is available in sterling silver. Denims and punk styled clothing look good with this kind of a design. You can apply black nail polish to enhance its look regardless of the nail length. 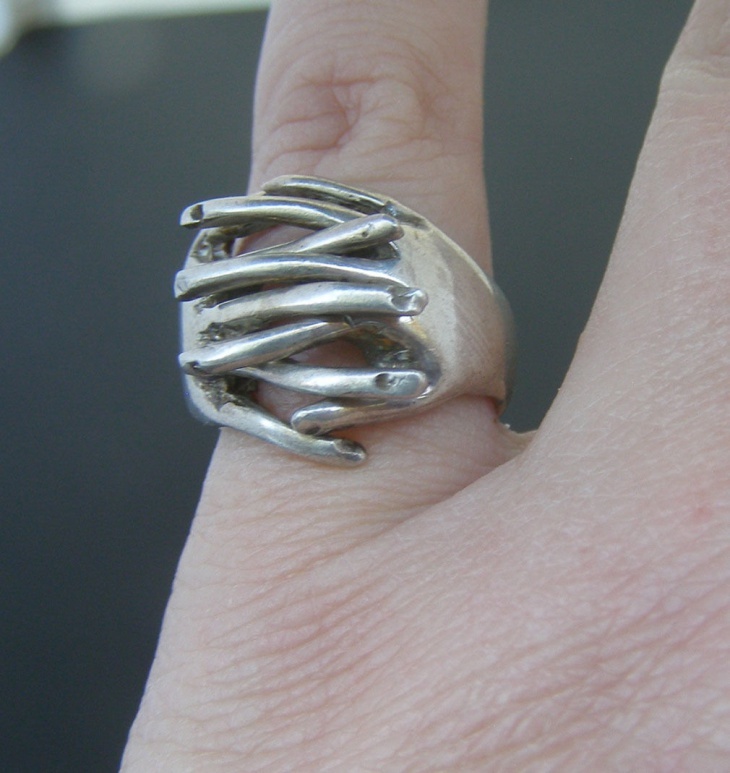 This is a finger ring that has design of fingers clutched to each other. This is a handmade item made in sterling silver. You can also find message rings, as they are a hit with most of the teenagers. 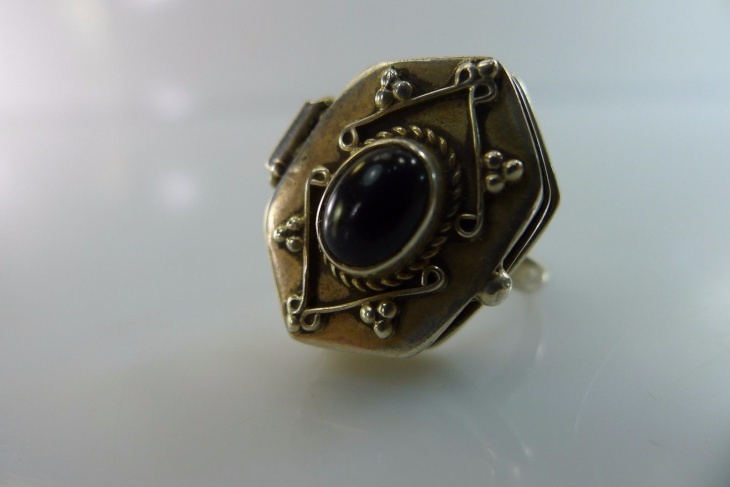 You can wear any vintage, retro clothing with this ring. 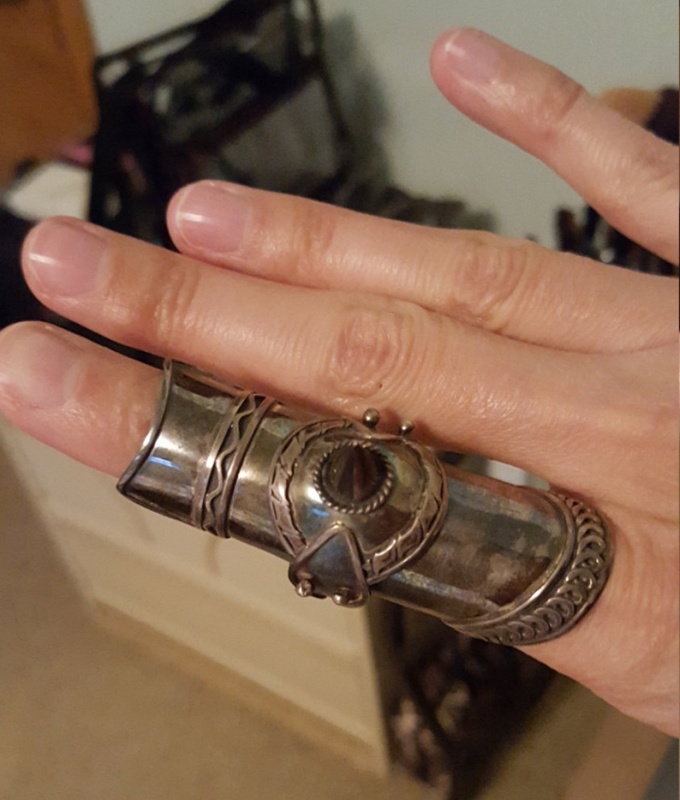 This is an elaborate ring designed in antique metal. 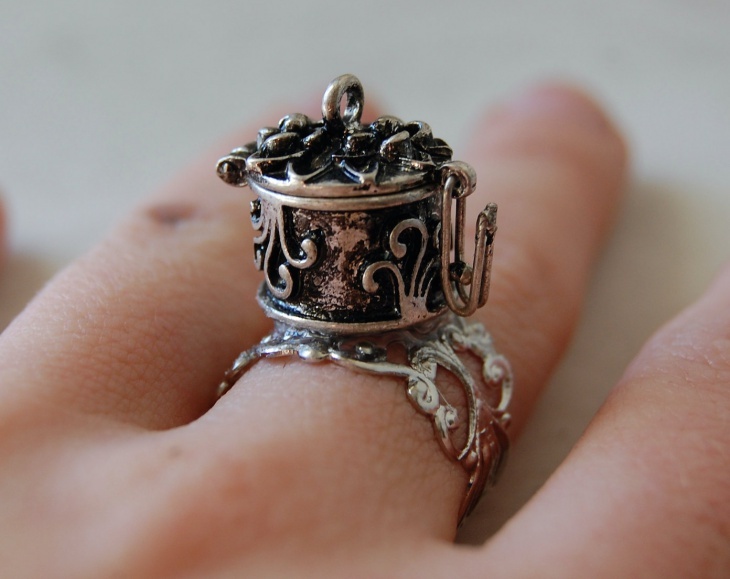 It has a box like structure that stands on top of the ring and a secret compartment to store small items. It gives a regal and esoteric look and draws on a different kind of an enigma to it. There are umpteen designs available for vintage engagement rings. Ring designs have changed over time. You will find ring designs in the symbols of charms as well as many other offbeat motifs. Choose the metal, color, and stone that suits your style. There is no age bar for these designs as they are suitable for every woman.